PT Bank Rakyat Indonesia Agroniaga Tbk - Bank BRI AGRO or referred to as "BRI AGRO" is a rapid growing public bank in Indonesia with primary focus on agribusiness segment. 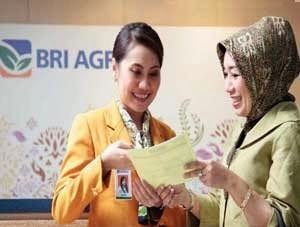 BRI AGRO is a directly-owned subsidiary company of state-owned lender, PT Bank Rakyat Indonesia (Persero) Tbk (BRI GROUP). As of 31 March 2015, BRI Group controls 80.42% shares in BRI AGRO. The remaining 19.58% shares in Bank BRI AGRO is owned by DAPENBUN, 14.03%; and public, 5.55%. Headquartered in Jakarta, BRI AGRO runs its business through 14 branch offices, 16 sub branch offices, 3 cash offices, 47 ATMs and will continue to grow throughout Indonesia. Minimum S1 in any field with a Grade Point Average (GPA) of minimum 2.75 out of 4.0 scale. Minimum 2 years of experience as Funding Officer. Preferably have potential database in Cikarang, Bekasi and its surrounding area. Minimum 2 years of experience as Account Officer. Preferably have potential database of commercial retail loans in Cikarang, Bekasi and its surrounding area. Have a good skill in credit analyst. JobsCDC.com now available on android device. Download now on Google Play here. Please be aware of recruitment fraud. The entire stage of this selection process is free of charge. PT Bank Rakyat Indonesia Agroniaga Tbk - Recruitment Officer BRI Group February 2016 will never ask for fees or upfront payments for any purposes during the recruitment process such as transportation and accommodation.